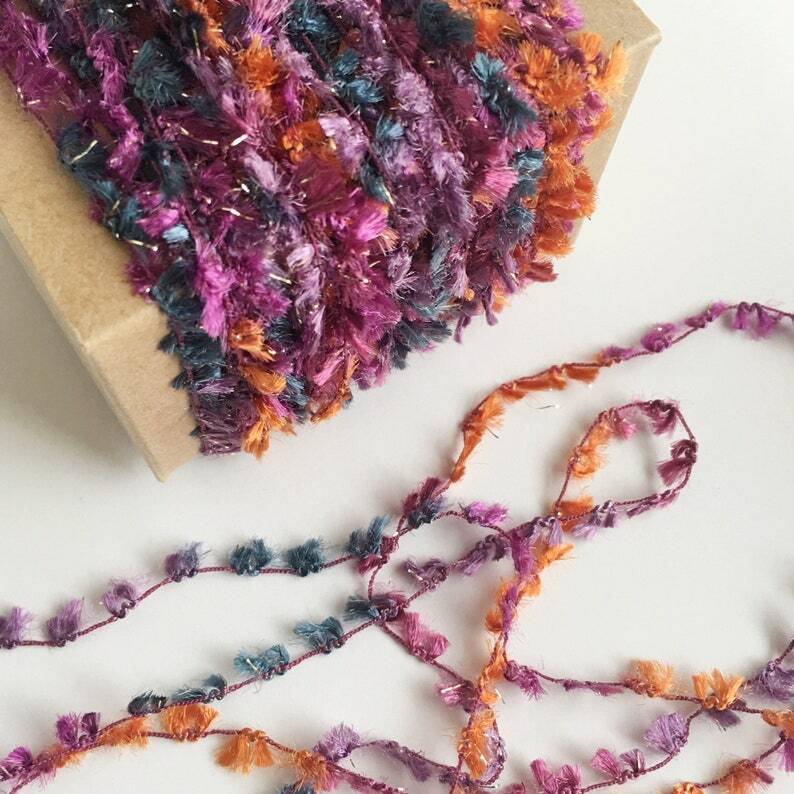 This listing is for 125+ yards of lovely petite butterfly twine in purple, blue and orange. You will find this dainty twine so beautiful. With flecks of metallic gold throughout, it's just stunning! This twine is perfect for gift wrapping, packaging, parties, weddings, crafting, scrapbooking and more. Butterfly poms measure approximately 5-6 mm wide and are roughly 5 mm apart. NOTE: Twine will arrive wound on a cardstock spool. This is a stock photo of this listing. You will receive twine that looks identical to that pictured. If ordering multiple listings, twine will arrive packaged in quantities of 6-12 yards. Please allow for color differences on your computer screen.